An island of magical proportions, Sri Lanka is a tourists’ paradise. Located off the southern coast of India, this beautiful island country is laden with pristine beaches, lush tropical forests, tea plantations and a rich cultural heritage. Often called The Pearl of the Indian Ocean, Sri Lanka is a center of Buddhist religion and culture. With eight UNESCO World Heritage Sites, this country is a treasure trove of sacred cities, grand ruins of ancient kingdoms and temple caves. Anuradhapura: An ancient city, Anuradhapura was the first capital of Sri Lanka. This city’s well preserved ruins of the Great Sri Lankan Civilization make it an archaeologist’s paradise. A UNESCO World Heritage Site, Anuradhapura is located 206 kilometers away from Colombo. Colombo: The capital of Sri Lanka, Colombo is a bustling metropolis. An attractive blend of old and new, this city is dotted with colonial buildings and parks. Dambulla: Located at a distance of 148 km from Colombo, Dambulla boasts of the best preserved cave temple complex in Sri Lanka. The Dambulla Rock Temple dating back to the 1st century BC is a major tourist spot. Galle: Founded by the Portuguese in the 16th century, Galle is the oldest living fort in the world. This city is located 116 km to the south of Colombo. The Galle fort is a UNESCO World Heritage Site. Kandy: Kandy, also called the cultural capital of Sri Lanka is situated at an altitude of 488 m. This city is home to Sri Lanka’s most important Buddhist temple, The Temple of the Tooth Relic. The annual Perahera festival attracts tourists from all over the world. Sigriya: Located in the north-central province of Sri Lanka, Sigriya is home to the ruins of an ancient palace complex unofficially known as the 8th wonder of the world. Beaches: The land of Sun and Sand, Sri Lanka has a large number of palm fringed sandy golden beaches. Deep natural harbours, lagoons and coral reefs add to their charm. 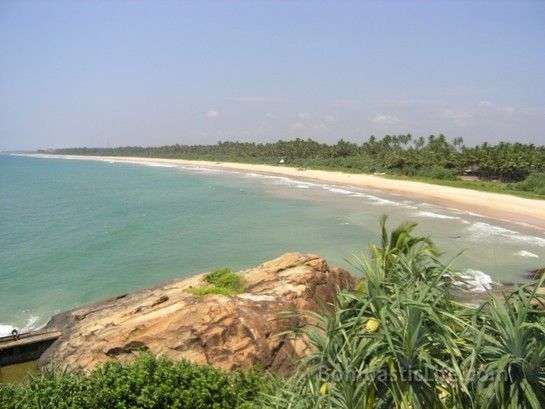 Some of the popular beaches of Sri Lanka are Negombo, Arugam Bay, Batticaloa, Bentota and Mt. Lavinia. Central Highlands/Tea Region: Home to Sri Lanka’s vast tea production, the Central Highlands is a must visit when in Sri Lanka. This is not a touristy spot; so to speak, it is one of the most relaxing places I have ever been. Best bet is to book a couple nights in a bungalow on a tea plantation. The numerous beaches of Sri Lanka offer a range of water sports such as water skiing, windsurfing, sailing and scuba diving. The deep southern coast of the country is world famous for whale watching from December to April. Dolphin watching is another major activity along the deep south coast of Sri Lanka, Kalpitiya and Trincomalee. Sri Lanka is home to some 20 national parks. With over 400 bird species, this island country is an ideal place for bird watching. Sri Lanka also has the highest recorded densities of leopards in the world. The abundance of national parks enable tourists to undertake jeep safaris for spotting brightly coloured birds, lumbering elephants and elusive leopards. A tropical country, Sri Lanka has distinct dry and wet seasons. The dry season or the period between the monsoons is the ideal time to plan a trip to this country. Hence the period from November to April is the best time to visit the south west coast while May to September is ideal for visiting the east coast. • Light cotton dresses and suits are recommended as Sri Lanka has a warm and humid climate. However, pullovers will be required if you are planning a visit to the hill country. • Visitors should wear respectful attire and remove their shoes while visiting temples. • Use only bottled water for drinking.